Love Halloween? Don't Miss THIS! Today is the last day to subscribe and receive this kit! 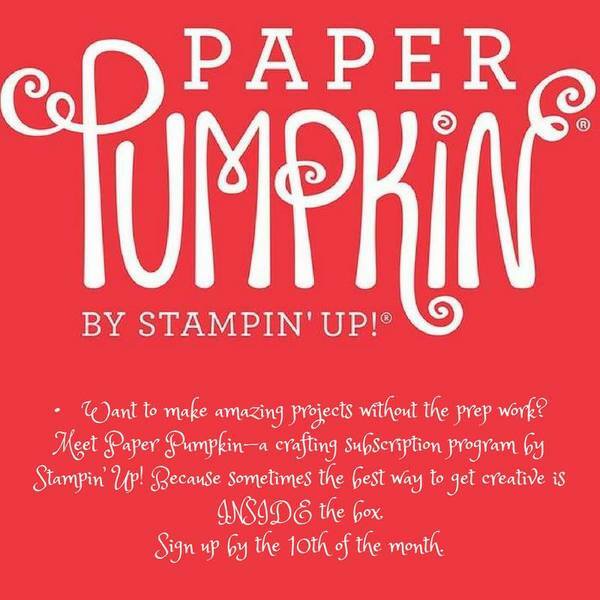 You can get yours by clicking on the Paper Pumpkin kit link at the top of this page OR you can just click here Don't miss out! The Holiday catalog is now live! Here is a cute video from Stampin' Up! highlighting the new catalog and one highlighting all the beautiful papers in the new catalog. AND there is a new promotion during the month of September! Host a party in September with sales of over $250, place an order of that amount yourself, or get some friends together to place an order of $250 and you'll receive free this beautiful Christmas paper! Get started on your Christmas cards with this exclusive paper, available only during the month of September! And don't forget your Bonus Bucks! Redeem them now! The August specials end tonight at 11:50 pm MT and I don't want you to miss out! Today is the last day! Get a $5 coupon (Bonus Bucks) for every $50 you order. Stampin' Up! will email you the coupon code (make sure you print it out/save it) and you'll be able to use that code/s on purchases made in September. With the Holiday catalog (did you get yours? Isn't it great?) going live on September 5, you'll want to have those coupons to save on your holiday orders! You can also forward your coupon code to me and I'll make sure you have it when you need it! Also ending is the Color Your Season promotion. I love stamp sets that can be used for multiple occasions and multiple seasons and the Blended Seasons stamp set is just that! And those dies are absolutely wonderful! I am using them today to make a birthday card for my grandson's teacher's birthday next week! The new assortment of Watercolor Pencils is also ending tonight. They are some beautiful colors and are great to add to the previous collection of colors. I really love to watercolor and these make it so easy when traveling to stamp some images, color them, and turn them to watercolors! I can stamp ahead and still be able to get crafty while I am on the road. Have a great Labor Day weekend, y'all! Get crafty (especially if the weather where you are doesn't cooperate!). I'm headed to Atlanta for my oldest son's birthday and to attend a Braves game. These August promotions are ending and you don't want to miss out! First, is the Bonus Bucks promotion. For every $50 you order, you'll receive a coupon worth $5 to use in September. It'll arrive via email and make sure you save/print out that email! You can even forward it to me and I'll save it for you! Lose the coupon code, and you lose the $5 because I won't have access to it and Stampin' Up! won't have it either! And since the Holiday catalog becomes available on September 5, you'll want those coupons! Next is the Color Your Season promotion. These are bundles (wood and clear mount Blended Seasons stamp set with Stitched Seasons framelit dies) or you can purchase them individually--but you'll save 10% on the bundle! These stamps are suitable for making cards/projects for any season! There are also new Watercolor pencils available during August. I do not know if these will ever be available later in a catalog but right now Stampin' Up! says they are going away after this promotion. 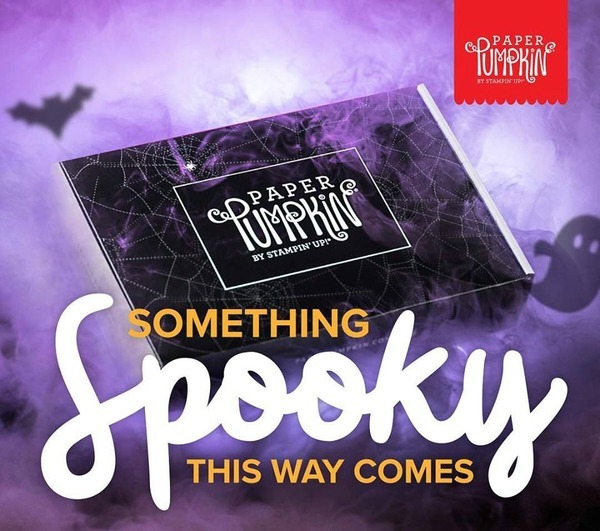 Are you familiar with Paper Pumpkin? It's a monthly kit that arrives in your mailbox around the 15th of the month. The kit includes everything you need to complete the kit--stamps, cardstock, diecuts, embellishments, adhesive. It's a wonderful value at ~$20/month (depends on the tax in your state). Once you subscribe, you manage your account the way you want--need to suspend for a month? You can do it. (I know the September kit is going to be about Halloween, so if you don't want that one, you can suspend for that month!) Even when the kits are not to my personal preference, I can always find something to make with all the parts. AND you don't have to make the kit like the full-color instructions. Make it however YOU like! Just getting started in stamping or cardmaking? These kits can give you a leg up! If you think you can't be creative, these kits will prove you wrong! AND RIGHT NOW IS THE BEST TIME TO SUBSCRIBE! Stampin' Up! is offering the first month of your subscription at half price! Subscribe now to save 50%! You can click on the link above or here. THIS OFFER ENDS ON AUGUST 10 so don't miss out! Stampin' Up! has come out with an exclusive, limited edition bundle that you can purchase as supplies last or until the end of the month. This Color Your Season bundle has stamps that are suitable for all the seasons and dies that not only cut out some of the stamps, but great stitched dies to use in any way you choose! You can purchase as a bundle or separately. Don't delay! These will be gone before you know it! Check out my Pinterest board for these stamps/dies! The once-yearly Bonus Days are BACK! You don't want to miss out on this great promotion! For every $50 you order during the month of August, you'll receive a $5 coupon to use during September. And since the Holiday Catalog goes live on September 5, you'll want those coupons to save on your holiday orders! Stampin' Up! will email you the coupons (so make sure they have a valid email when you order). You will need to save that email with your coupon codes because I won't have access to them if you lose them. You can print out your codes and put them in a safe place ( and try to remember where that is LOL!). 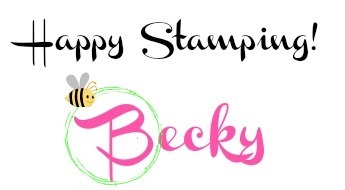 You can also email those codes to me at http://beckysstampingspot@comcast.net and I will save them for you! Then in September when you are ready to order, just let me know and I'll send those coupon codes right back to you! Anyone need a holiday catalog? Just click on the tab above to request one or click here and I will be happy to mail one out to you! Use the host code if your order is below $150 and I will send a special surprise to all who use it!